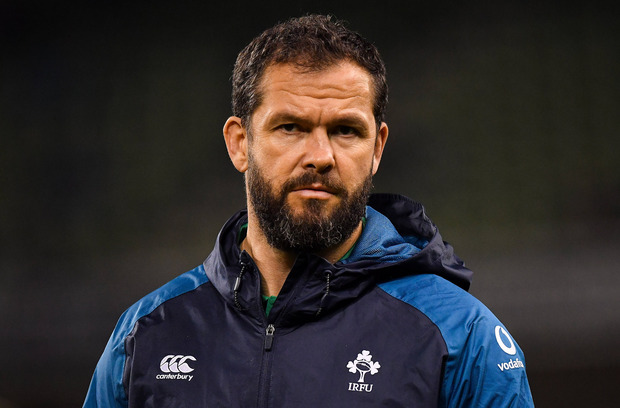 RFU interim chief executive Nigel Melville has said that future Ireland head coach Andy Farrell would have been in the frame to succeed Eddie Jones as England boss. Ireland defence coach Farrell has been confirmed as Joe Schmidt's replacement when the Kiwi departs after the 2019 World Cup, having previously been an assistant coach in the England set-up during Stuart Lancaster's four-year tenure at the helm. However, Lancaster left the role after a disastrous 2015 World Cup, while Farrell was subsequently let go by Jones when the Australian took charge. Farrell was quickly snapped up by the IRFU, and has earned plenty of praise for the job he has done under Schmidt. Speaking to BBC Sport, RFU interim chief executive Melville said that there was some regret that Farrell had left the English system and that he would have been a strong contender to coach the national team after Eddie Jones, whose contract is up in 2021. "You always get that feeling don't you because he's a fine coach, a good guy, and he's English. But an opportunity has come up there and he has gone for it," Melville told BBC Sport. "He would have been on our radar, of course he would. "He's an English coach, and all English coaches we are talking to now. But obviously Andy won't be available."